Aura, is a part of the Wagner Group, and has been making HVLP sprayers since the late 1940s. Producing the most technologically advanced sprayers with the highest reputation in the market, it is a brand you can trust for all your spray tanning equipment. All our machines come equipped with a satin spray nozzle which produces the finest atomization for perfect coverage, and minimal overspray. These 1-2-3 easy clean nozzles have proven to be the simplest in the market to clean as they contain only 3 pieces, therefore even easier to put back together again. Through our advanced german engineering we know it‘s the tapering of the nozzle which gives the best spray tan, not the size of the needle. Whether you are a mobile or salon therapist, Aura can provide you with a range of spraying options, perfect for your needs. The Allure range embodies glamour and sophistication with its luxurious gloss black surfaces and metallic finishes, it is perfect for top spas and salons. The Allure is available in two different versions; The Allure and the Allure Xena. 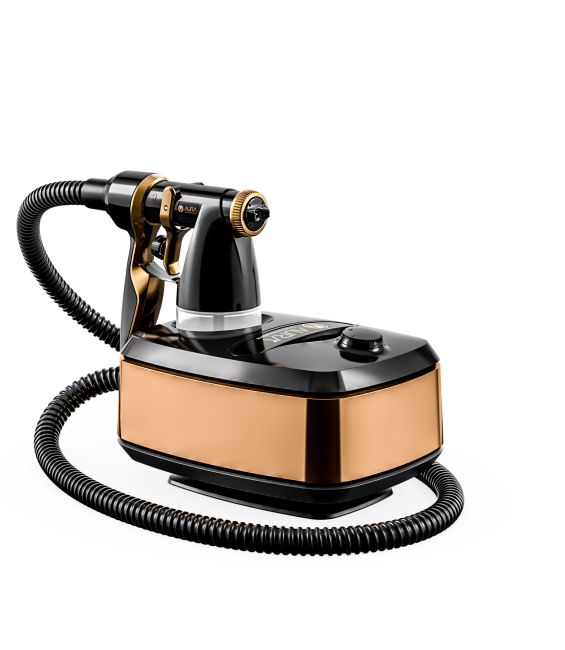 Both versions have the satin spray nozzle and the whisper quiet turbine, which unite to create the perfect spray tanning experience for beauty therapist and client. 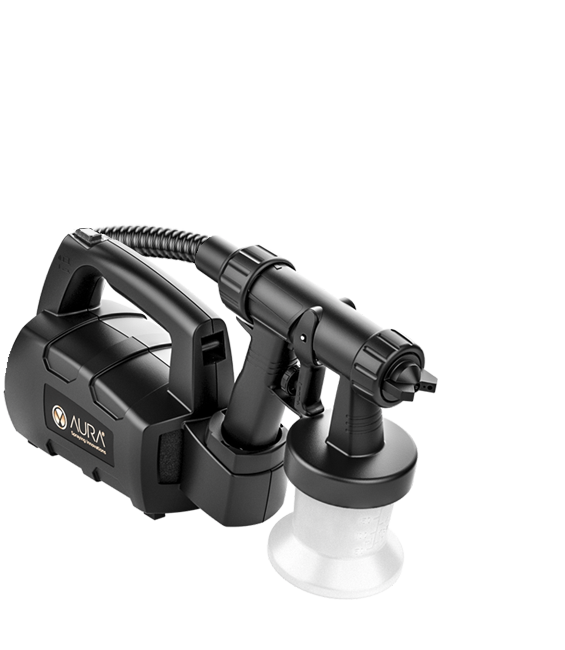 Allure Xena gun has flawless spray patterns, which allow you to spray vertical, horizontal and contour, and has the patented click and tan technology for quick interchangeable solution shades between customers. It consists of three robust models for mobile, salon and competition use: The Elite Compact, The Elite Click & Tan Plus and the Elite Click & Tan Spa. The Elite Compact is ideal as a starter machine, as it is light and compact, great for mobile beauty therapists. Both the Elite Click & Tan Plus and Elite Click & Tan Spa have our click & tan technology for the quick interchange of solution shades between spray tans. This prevents contamination of the gun, saves time and money. The Aura Elite Spa is the perfect spray tanning machine for competitions as it has speed control allowing you to spray fast for your first application and slower for the second more dense application, as two coats of solution is always advisable for shows. It is also possible to refine the spray jet in order to define muscle areas like the abdominals, biceps and quads, to ensure all areas are looking tip top on stage.